Long before I went into veterinary practice, my first dog was a “pound puppy” – a stray that had been picked up by the county animal control and was friendly enough to be put up for adoption at the local shelter. He was a mutt – a mixed breed with few characteristics that could identify what his parentage might have been. If only I could have purchased a DNA Test for Dogs back then! My then newly adopted furry friend had big, floppy ears, black silky fur and a white spot right on his chest. He passed away years ago, and I often wonder what kind of mix he was after all. Border Collie-Labrador? Foxhound-Corgi-Shepherd? Our veterinarian back then had guessed Border Collie mix, but sadly the world will never know. Today puppy parents can get a better idea about their adopted family member’s heritage. There are several dog DNA tests out on the market now that are quite advanced and can reach back pretty far into a canine's genetic makeup. Even though as veterinarians we rarely have a reason to deal with this, I am personally fascinated by the study of canine genetics and how these technologies continue to progress. They're not just for mutts, and not only for fun, either. Dog DNA tests can help the owners of pure-bred dogs. They can be used to improve breeding programs and allow owners to be prepared for diseases that often show up later in the dog’s life. 40% of pure-bred dogs have genetic defects. The average pure-bred dog carries genes for 4-6 other genetically related problems that he himself may not have but can pass on to future generations. Here's what you need to know about shopping around for DNA test for dogs. A word of warning before we proceed – most veterinarians urge pet owners to NOT view these tests as concrete evidence that their pet is one breed or another. Many pet owners are drawn to such tests in order to “prove” that their dog is – or isn't – a particular breed. Many owners invest in a DNA test for dogs to prove that their pup isn’t a mix of a breed that is banned. Often, this is a reaction to a complaint by a neighbor that thinks that the dog looks like a suspect on the banned dog breeds list. DNA testing of these dogs can have mixed consequences and may not stand up if challenged in court. Likewise, dog DNA test results may or may not be sufficient evidence to convince an insurance company to insure your household. That is not to say that you shouldn't use them, but rather to be more realistic about what the results actually are and not put all your eggs in one basket. Not every DNA test for dogs is the same. Some test for more breeds than others and cost can vary widely. I'm very familiar with all of them, but we'll take a look at the most popular brands so you can decide which is best for your needs. 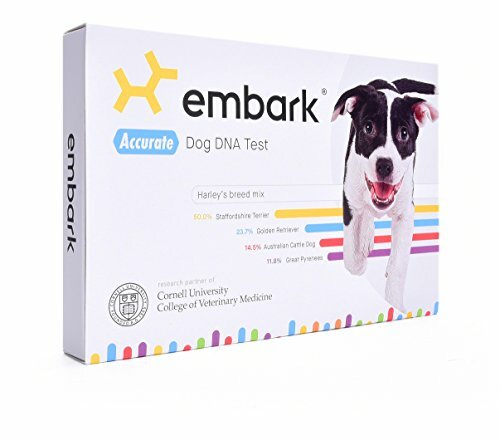 This is veterinarian’s favorite dog DNA test, called the Embark Dog DNA test, mostly because the company prioritizes scientific research and working with other professionals including animal geneticists and vets to ensure accuracy of their tests. It is readily available at many veterinarians and via the internet. One of the newer-generation dog DNA tests, this test has the right pedigree but is also the most expensive on the market. Embark company has also partnered with Cornell University’s College of Veterinary Medicine and uses a research-grade DNA microarray. This test’s strong science background has some benefits, but it also has some pitfalls, depending on what you want. Samantha has previously done two podcasts with one of the veterinarians at the company and their CEO Ryan Boyko (first and second) – I recommend those for anyone interested to know how these tests work. Below is what you should know about Embark dog DNA test before buying it. Note: This DNA test for dogs from Embark is the panel for dog owners that want to know everything possible about potential inherited conditions and breed background. However, given its price tag, this is not the most affordable option particularly for pet owners on a budget and other DNA test for dogs brands (see below) could be used instead. The first runner-up is the Wisdom Panel DNA test for dogs. This canine DNA test is one of the older ones and first ones to be offered to pet owners; it has been evolving since its inception in 1999 and is currently on version 4.0. It's not as extensive as the above mentioned Embark and as far as I'm aware, they don't have the same type of strong team of scientists, veterinarians and college support on their side. Nevertheless, they still manage to keep improving and provide high quality testing. Samantha has also reviewed this more extensively (see here) and Top Dog Tips have also done the direct comparison between Embark and Wisdom Panel (it's here). This DNA test for dogs is readily available through many veterinarians and via the internet, too. If more comprehensive testing for inherited conditions is needed, an additional, more expensive test can be ordered. This test (called the Wisdom Panel Optimal Selection test) is an excellent tool for breeders. Note: While the basic option of Wisdom Panel dog DNA test is more affordable, there's a caveat – if you want to know about inherited disease conditions AND breed detection, the two panels needed to do this from Wisdom will cost the same if not more than using one Embark test. If you only want an excellent breed detection test at an affordable price, the Wisdom Panel 4.0 is the way to go. DNA My Dog is a “middle of the road” breed identification DNA test, and much less popular than either Embark or Wisdom Panel dog DNA tests. This company offers a range of services from basic breed DNA analysis to health screenings similar to the Embark and Wisdom Panel. However, while they do offer these options, it is important to note that the pricing varies widely and you'll need to inquire specifically about that. They do have a unique option: if you are interested in more advanced testing for wolf or coyote hybrids, this DNA test for dogs offers an add-on test for about $90. 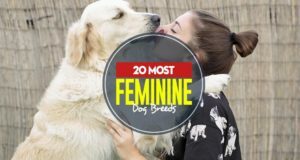 Note: If you are interested in a fairly reputable (though average rated by pet owners) and affordable resource for breed analysis, this is a good place to start. It's cheaper than either Embark and Wisdom Panel, and will do the basic things majority of dog owners will need a dog DNA test to do. That said, if you need a more detailed genetic mutations testing, you will likely have to spring for the number one choice of the Embark panel. PetConfirm DNA test for dogs is a lesser known at-home test for pet owners. It's made by a human testing company called Confirm Biosciences. This DNA test for dogs is a newer testing option that only recently appeared on the market and hasn't garnered enough attention or reviews, and vets aren't aware of how accurate it actually is yet. It does not have apparent links to continued canine DNA research or veterinary support, either. The company doesn't have pricing or buy option readily available on their site at the moment, and it seems you need to email them to inquire about it. Note: If you don’t want to spend a lot of money and want to test your dog ‘just for fun’ – this is a good way to go about it, provided you can actually get a hold of this test (they seemed to have removed the buy option at the time of this writing). Veterinarians aren't too familiar with this test and some sources, such as Amazon, had previously reviews for this dog DNA test that include complaints about questionable accuracy (the company has since removed this test from Amazon, it would appear). Scientists are continuing to unravel the mysteries of canine DNA. More news continue to come out about the progress being made in dog genetics. As time marches on, these tests will change and become more even more accurate. And the more we understand about the intricacies of our pet dogs DNA, the better we can detect diseases early and possibly prevent such ailments altogether by breeding them out. While many of the testing avenues today are very high-tech and results are much more trustworthy, these results should always be read with a certain amount of caution and grain of salt. Don’t expect the insurance company or homeowners association to believe the results, particularly when you're trying to plead your case to them. As for me, the next pound puppy I adopt will likely have an Embark test performed, as I am pretty confident in the quality and accuracy of the testing. As a veterinarian, I do not directly deal with dog DNA tests, but as a pet owner, I'm simply too curious not to try it. The information that can be obtained from such a test can help puppy owners prepare for the future both mentally and financially. The best part about it is we can use it as a tool to provide the best care that we can.